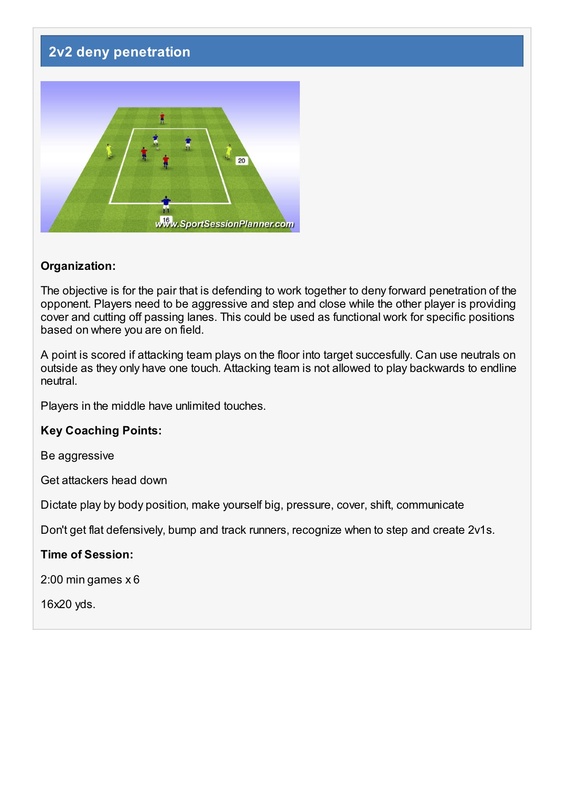 Here is a session and examples of how teams should defend tactically from the front versus a flat 4-4-2 when playing in a 4-3-3. 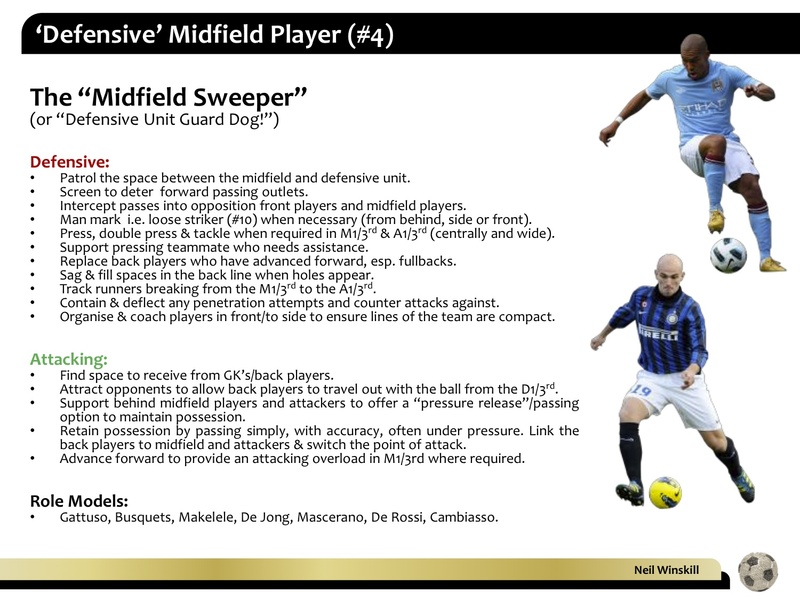 Defending is a numbers game. 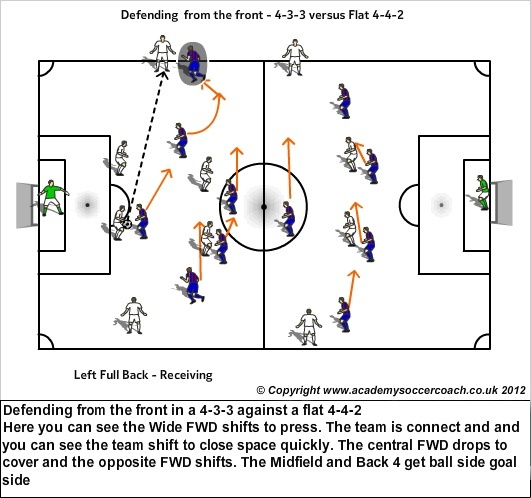 When playing a 4-3-3 you have more numbers in midfield and it when pressing high its important that the forwards work hard to force them inside. 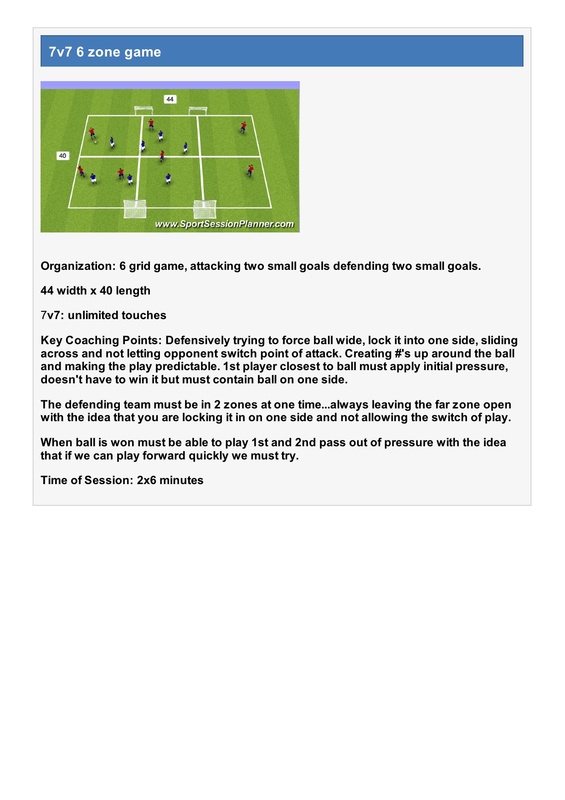 Here is a session to train defenders showing inside and not allowing the opposition to use the width to exploit space. Key Words: Press, Curve your run, Delay, Show inside, Cover, Support. 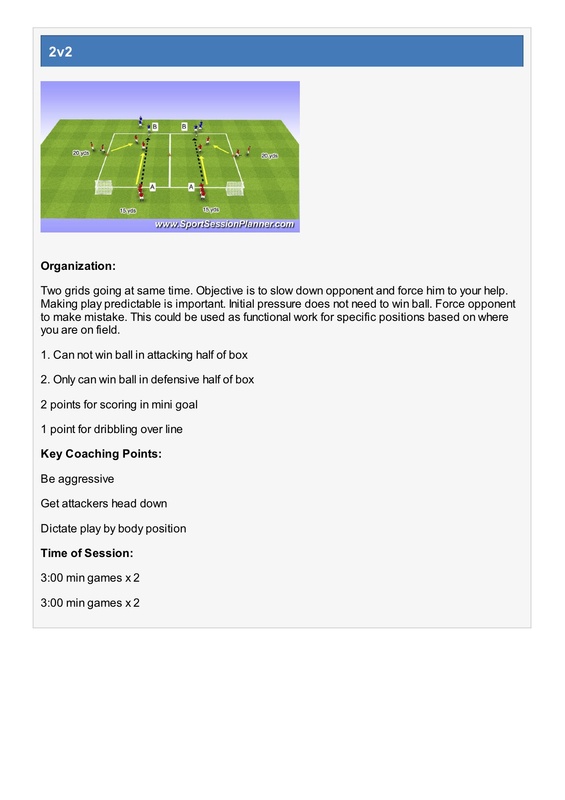 Ball side Goal side, Stay connected. 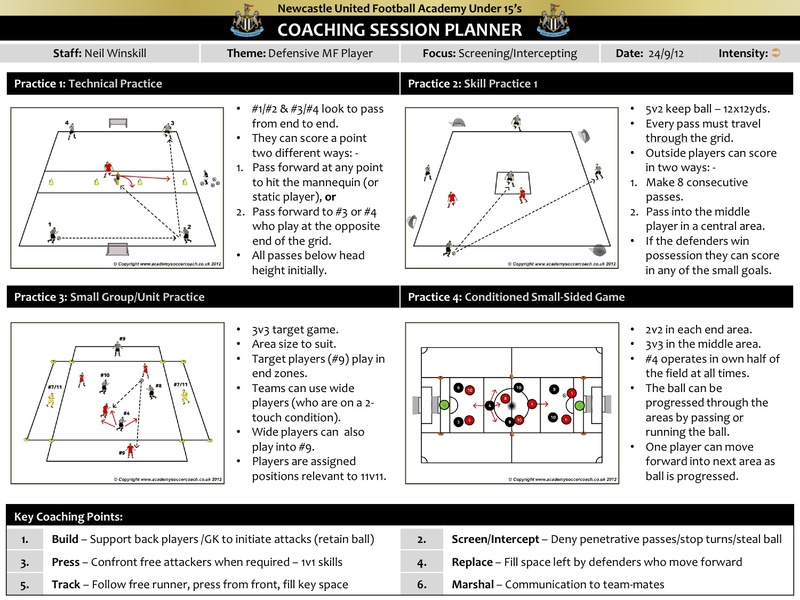 Players should be looking for the Visual Q’s when to react. 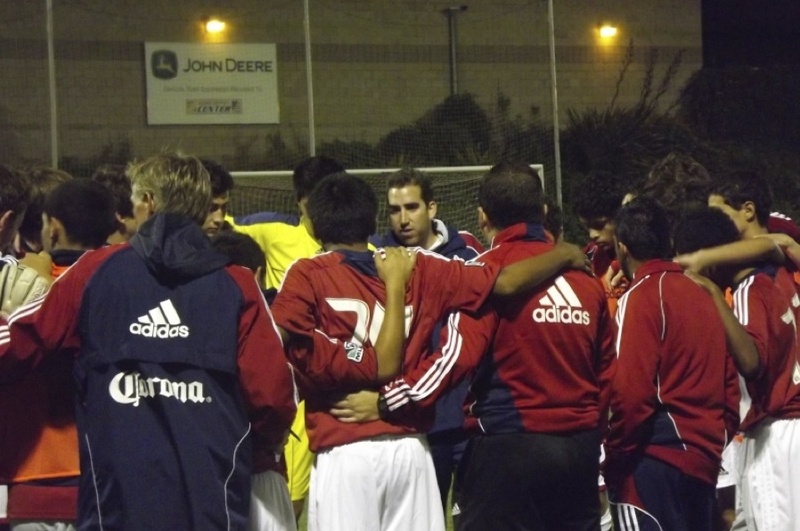 Mike Munoz is the U16 Academy Coach for the MLS Chivas USA Development Academy Team. He is actively involved in the Men’s MLS Chivas Team Coaching Staff and is involved in US Soccer as a scout for the youth national teams. 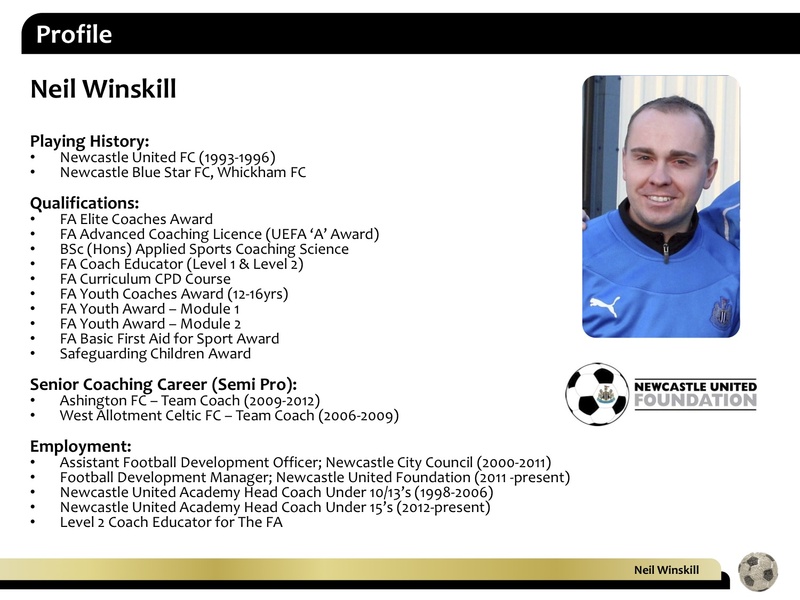 Mike holds a USSF ‘A’ License.